Paul: All right, everyone, stand back. We’ve had reports of some unexploded Games News here and so our team of experts are stepping in to carefully, cautiously and capably dismantle and defuse this thing. This is a complex process and meticulous work. Quinns: Is it? Nah, let’s dive straight in with the story that’s impossible to avoid: There’s a new edition of X-Wing coming! It gets a wide release in September, after a GenCon reveal, but is it different enough? Paul: Well! From launch, it will include all three factions (Rebel Bois, Imperial Gals and “Scum and Villainy,” which I think is a cleaning product), drop in special new force powers and also add Resistance and First Order ships as two new “fully-fledged” factions as expansions. 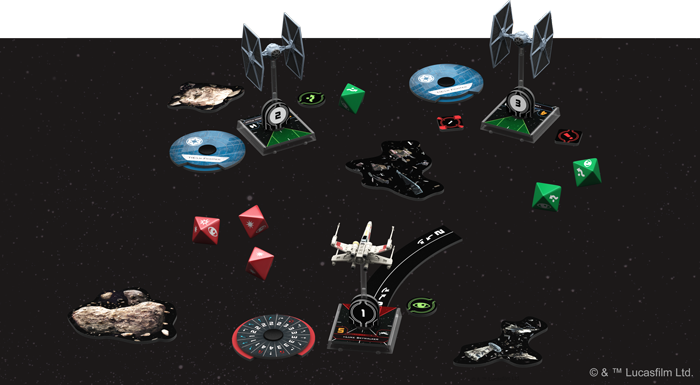 Fantasy Flight say all these factions will now feel more distinct and different in how they play and that a new squad-builder app will make squadron recruitment, customisation and organised play easier. 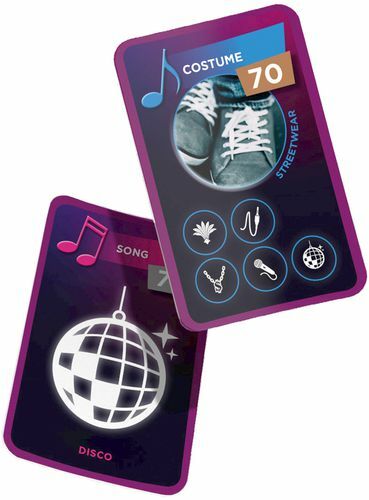 This means that point costs and upgrades are no longer listed on cards, but instead tracked by the app. I’m not sure if I like that little detail, but a tool to help you craft and customise your games does sound promising. Quinns: Peeping closer, there’s also new mechanics for stress, for repairing damaged ships mid-battle, for turrets and and for limited use upgrades. Of course, if you’re already sunk all your space dollars into the first edition, changing up may not appeal. Fantasy Flight are hoping to turn you to their light side (Or dark side? Or soap scum/limescale side?) with conversion kits, one available per launch faction, with more planned for the Resistance and First Order. Paul: FFG are listing those kits for fifty galactic credits each, so conversion won’t be cheap, but this a story repeated since the dawn of time: A new edition of a game attempts to fix all of the problems with the previous one, with its many expansions and its wobbly meta. Die-hards will be unhappy, others will welcome the rebalancing and heavily-invested veterans will want to cling onto their beloved edition like sloths onto branches. And what’s wrong with sloths? NOTHING. 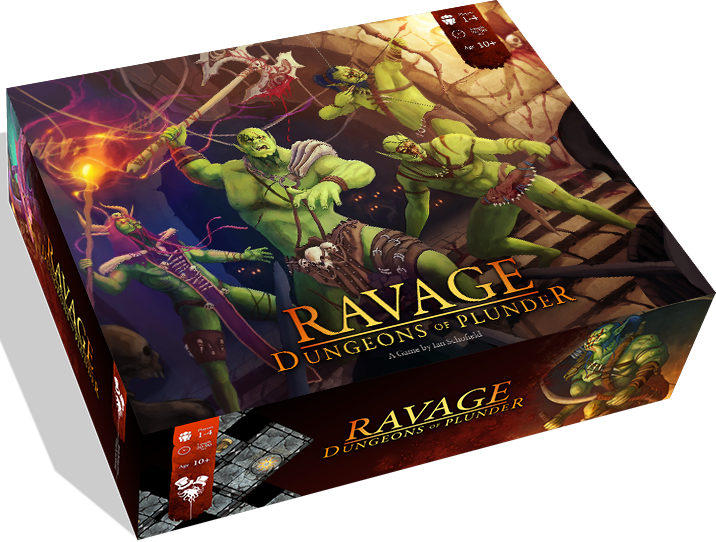 Quinns: I know what you like to cling to, Paul, and that’s good ol’ dungeon crawlers like Ravage: Dungeons of Plunder! Designer and artist Ian Schofield is really diving into the hobby with this colourful debut, which has three different ways to play. As well as the conventional “dungeon master versus team of adventurers,” there’s also a full co-op mode and also the option to play solo, with randomly-generated encounters. Dungeons are built according to a deck of cards, meaning they can be different every time you play, and Ravage promises a lot of variety. 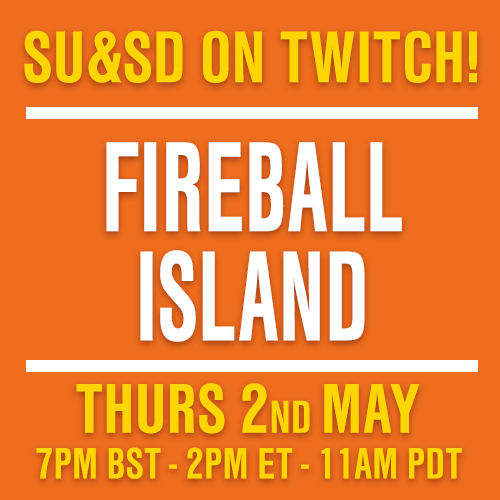 Does it tickle your Heroquest itch, Paul? Paul: It might do! I certainly like the variety and the randomness it looks to be offering. 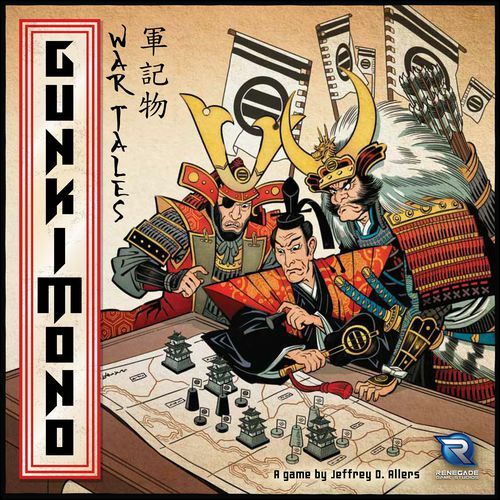 That suggests a lot of expansion possibilities and, though I’ve often been ambivalent about expansions in board games, in a context like this they might have a lot to offer and there could be a long tale on this feisty beast. And who doesn’t like long tails? I’ve become a bit of a fan of Red Raven Games over the years, really enjoying both Above and Below and Eight Minute Empire, as well as liking-but-not-loving Near and Far. The news that Megaland was coming at the end of the year interested all of my piques, but what particularly caught my attention was word that this quick-playing, push-your-luck game of fantasy adventuring would, like Fog of Love, be another retailer exclusive (Target, this time!). Quinns: That’s a mixed bag. It means it will be put on a lot of shelves in front of a lot of customers, but it also makes it harder for folks in countries like, say, Anywhere-Not-In-The-US to get hold of. Megaland looks like one of Red Raven’s lighter and more accessible designs and I can see how it would be pitched to a more general audience, but that doesn’t make it any less interesting, nor does it make team SU&SD any less curious to try it, even in the Target-less lands we inhabit (EDIT: See the comments below for an update on this, it looks like Target’s exclusive distribution deal still means “international” stores can order from them). Paul: …2009’s Heartland, a game about developing farms and choosing between scoring short-term harvests or making long-term farming investments! 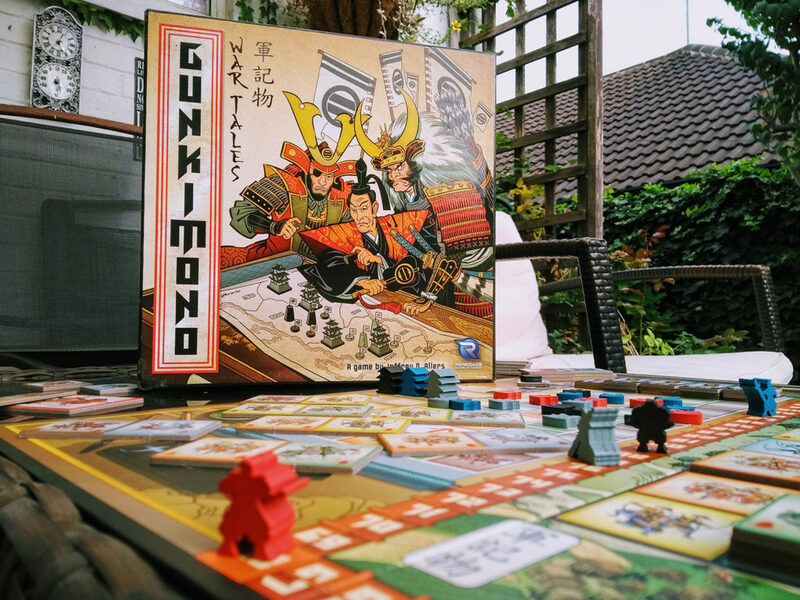 Gunkimono is using the same rules, but for an entirely different concept, rather like how we reported on the Greek city state game Attika transforming into U.S. Telegraph, a game about the old west. Change is good, but in both cases I think I prefer the original concepts for being a little more uncommon! Quinns: Remember how we reported on the release of all those games that the CIA had been using to train its operatives? Diegetic Games have only gone and teamed up with the blog Techdirt to put together a game based on the CIA’s Collection Deck. The project, now called Collect it All (such a coy CIA acronym) is up on Kickstarter and has already abseiled far past its funding goal. Is this all legal? It sure seems so, as the original CIA game counts as a work of the United States Federal Government and so is not subject to copyright, says Techdirt editor Mike Masnick, in this interview. Wait, you know what Eurovision is, right? Okay! One of the best things about the Eurovision Song Contest is just explaining it. Every year, countries across Europe all unite in one megaconcert, deploying singers to perform songs of often (deliberately) questionable quality, before then scoring each other’s work and inevitably being biased toward neighbour countries and best buddies. It’s always silly but it’s also always good fun and very rewarding to see so many countries united by one very cheesy event. Quinns: There’s just time to defuse one last explosive announcement. 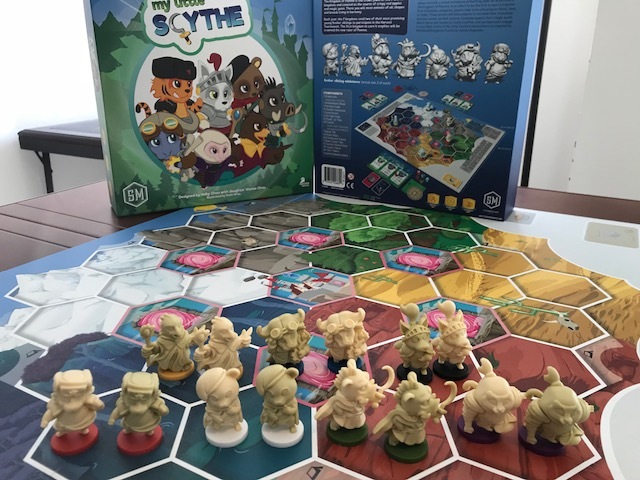 Last year, six-year-old designer Vienna Chou worked with her father Hoby to create the print-and-play game My Little Scythe, inspired by Scythe but featuring many more animals. Now Stonemeier Games are releasing a boxed, polished version and it looks just charming. Go on, admit it, this is the Scythe sequel you always wanted.